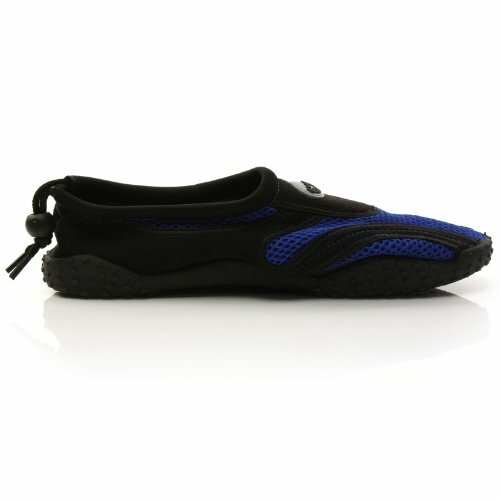 All Purpose Aquatic Shoes are perfect for surfing, body boarding, boating, yachting, snorkeling, exploring the waters and beach. Great for the shore, ocean, lake, reef or rocks. 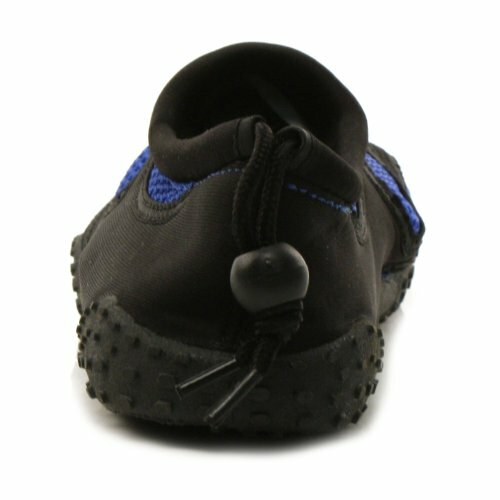 Protect your feet from harmful rocks, pebbles, shells, sand and so many dangerous possibilities. Easy to adjust bungee cord closure. 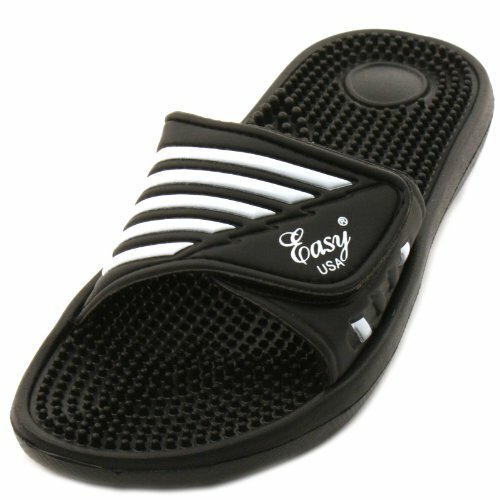 Medium width, nicley cushioned sturdy sides and maximum traction non-slip soles. 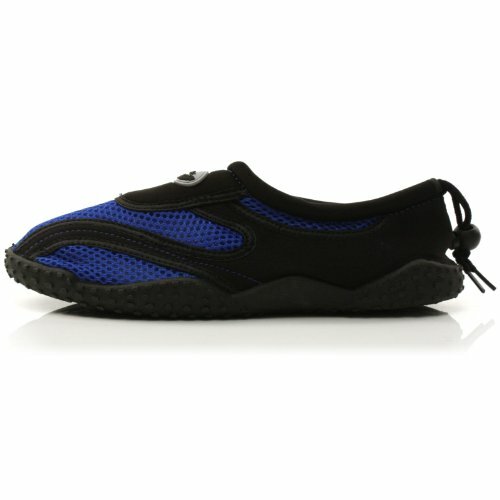 Heavy duty durable craftmanship not to damage your feet. A must have, going on vacation, why rent when you can have your own for almost the same price. Great for ladies, and teens and girls. Makes a great gift. 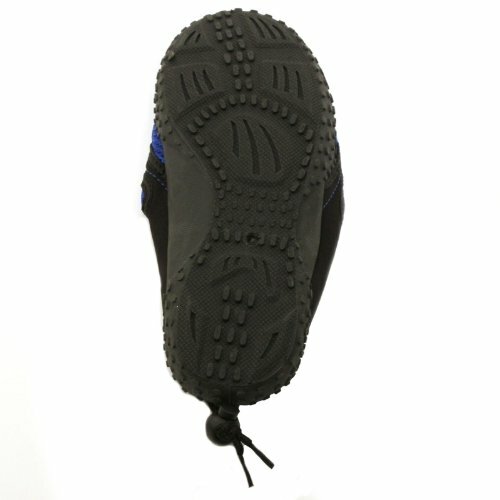 Fun Facts: A water shoe is a type of footwear that are typically used for activities where the feet are likely to become wet, such as kayaking. 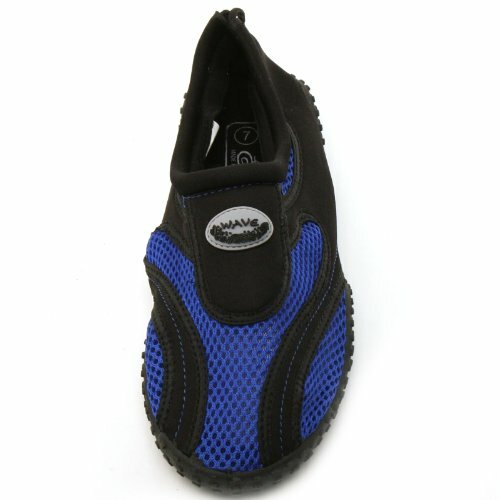 Water shoes are made of mesh and have a hard sole used to prevent cuts and abrasions when walking in wet, rocky environments. 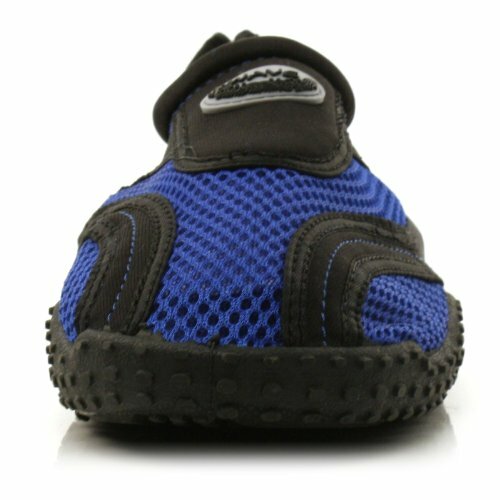 Water shoes are also used to protect people’s feet in waters with sharp-rocked floors or zebra mussels, in which case their primary purpose is not to keep the wearer’s feet dry. 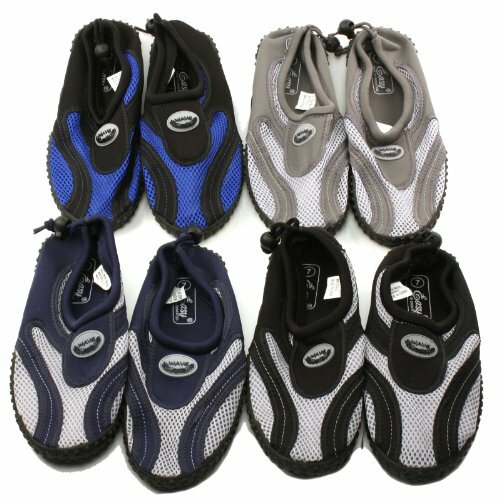 In some areas such as the Finger Lakes, wearing water shoes has become essential due to the infestation of sharp-edged mussels.